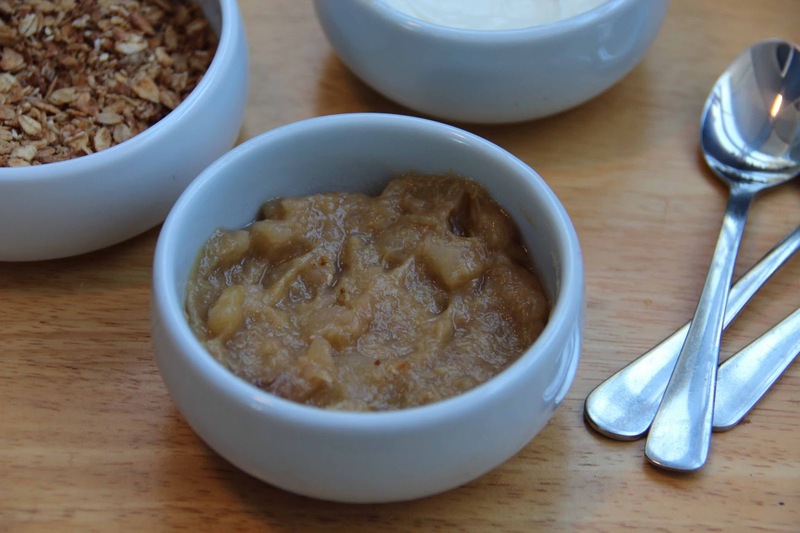 Peter Gordon's Wintry Breakfast Secrets. In Bite magazine this week chefs contributed their guilty or not so guilty kitchen secrets. Good to know that Peter Gordon also loves a bowl of simple comfort food, prepared very quickly on winter mornings.And that he is not at all averse to using a microwave to speed things up and to save on dish washing although he is a well known chef with restaurants in various countries,the author of 8 cookbooks and with a TV presence. When the weather is cold, the most common way he starts the day is to pour boiling water over some muesli/granola, head for the shower and once dried and dressed he puts this in the microwave for 20 seconds, Then he dollops on some sheep or goat's milk yoghurt. His other way is to pour some soy milk over rolled porridge oats and blitz them in the microwave.Yoghurt usually ends up on top, or some stewed fruits he'll likely have in the fridge. He sees this as an essential part of his winter mornings when he really doesn't want to have a bowl of cld cereal. I have been creating this kind of breakfast for years but I like to use a toasted muesli (like Purebread organic Wild Oats muesli) rather than rolled porridge oats as he does. as it retains a little crunch. I pour over some milk and blitz in the microwave just until piping hot. Sometimes I also add something fresh and fruity prepared the night before like my apple and rhubarb compote. The Fresh As freeze dried lemon grass powder adds a little extra zing. Combine all the ingredients and cook in a covered container in Microwave on high for for about 6-8 minutes until the apples and rhubarb have softened. Then whizz in a food processor until smooth. Great for lunch! And the perfect way to use up some left over sliced bread. Purebread Big Daddy Oats organic bread is good to use in this recipe. Its wholesome and chewy and is made slowly by the traditional method of bulk fermentation . Bottled sliced jalapeno peppers can be found in most supermarkets. Stir in the tomatoes and spring onions, the smashed garlic and the basil. In another bowl toss the bread cubes with the 2 tablespoons of melted butter. Spread the bread cubes over the eggy tomato mixture and press them down until well soaked. 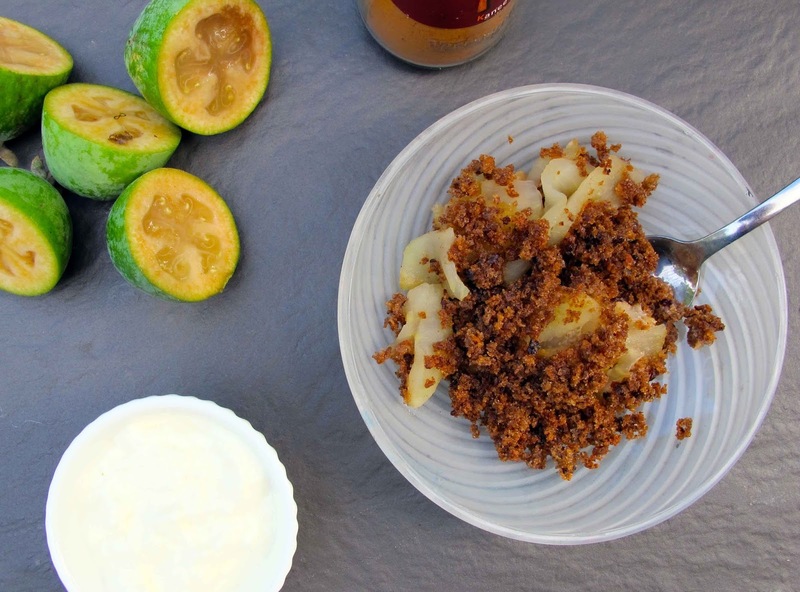 Microwave the apple and feijoas with a pinch of ginger in a lidded microwave safe bowl for 7 minutes. Add 2-3 tablespoons of brown sugar and 1/2 teaspoon of cinnamon and whizz again briefly just to mix. http://www.mamtaskitchen.com. She also passed on the hint that buttering the slices of bread before making the crumbs forces it into them and helps them to crisp up better then if you dot with bits of butter as is usually done. 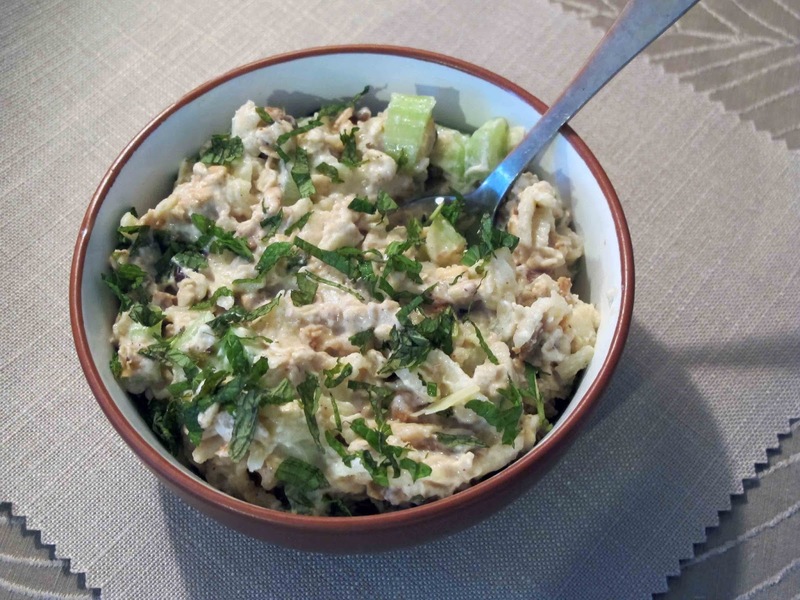 The first time I heard of savoury muesli was while we were on a stopover in the USA recently. In the food column of a local paper savoury muesli recipes were hailed as the latest trend and some recipes were included including a bacon granola which was sweet, salty and spicy! Outrageous!? Once home I set to and created a savoury muesli recipe which is less salty and sugary, easier to put together and vegetarian.The result : my Savoury Bircher Muesli. I love the crunch that the celery adds and the freshness of the mint. You don't have to soak it overnight, but do let it stand for about 10-15 minutes before serving. I like it for breakfast drizzled with milk/almond milk or coconut water. 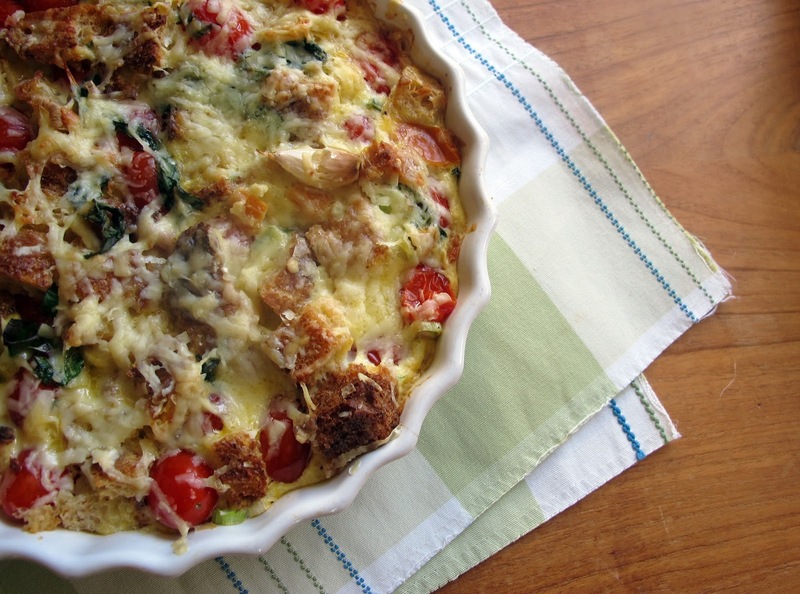 It will keep in the fridge for a day or two so you can eat a spoonful when hunger pangs strike. Or put a couple of spoonfuls on top of a cos lettuce leaf, add a slice of Japanese pickled ginger and roll up for lunch. Mix all the ingredients except the mint together. Stir half of the mint through just before serving and garnish with the remainder. I was part of the WholeFoods movement in the Sixties, baked wholemeal bread, sprouted beans, made yoghurt and floated around in long muslin dresses. And then life got busier. I went back to work and cooking from scratch began to fall by the wayside. The number of packets and tins in my pantry steadily grew. But what goes round comes round. The Wholefoods diet which has taken the blogging world by storm in recent years sounds remarkably similar to what we ate in the sixties. Older now, and less pressed for time, adopting a healthier lifestyle which might well lead to a longer life (and is better for the planet) is beginning to appeal to me once more. A Wholefood diet means eating more mindfully, consuming food in its most natural state, processed and refined as little as possible. In WHOLE Bronwyn Kan asked 11 of New Zealand’s healthy food bloggers and providers who have embraced this wholesome lifestyle to share their stories and their favourite recipes. Our diet was simpler in the sixties. There are quite a few ingredients in WHOLE that I don’t have in my pantry like Psyllium husk, vegan protein powder, coconut nectar, cacao butter, bee pollen, savoury yeast flakes and chia seeds. I don’t think you need to include all of these to have a healthy and balanced diet and restocking my pantry with all of them at once would be expensive. I decided to buy just two, chia seeds and almond milk for a start. Who doesn’t love slathering jam on toast? But it is full of sugar. This recipe in WHOLE is not only ridiculously easy to make but contains no refined sugar at all. You simply bring a punnet of any kind of berries to a simmer with 3 tablespoons of water and 1 tablespoon of pure maple syrup or honey, stirring gently. Remove from the heat and mash. Let cool for 5 minutes and then stir in a heaped tablespoon of chia seeds. It will set in an hour and keep in the fridge for a week. Good dolloped on Greek Yoghurt and muesli for breakfast. When I ran out of fresh fruit I made it with frozen blueberries and left out the water. It worked just fine. We’re trying these days, not to load our granddaughters up with too many sugar laden treats so the yoghurt and blackberry ice pops appealed. For these you blend creamy natural or coconut yoghurt, smooth vanilla, honey and berries. Put this in paper cups and pop in Popsicle sticks. Then freeze in paper cups overnight. They were a hit with our granddaughters and they could make them themselves. We’re eating less meat and more vegetables these days so I am always on the lookout for some new vegetarian ideas. In this tasty recipe Portobello mushrooms stems are carefully removed, diced and mixed with tomato, feta cheese, garlic and fresh chives. The mushrooms are brushed with oil and filled with this mixture before baking. Scalloped potatoes are a firm favourite at all of our extended family gatherings but with all that cream I don’t make it too often. It’s good to have a lighter version made with almond milk and parmesan cheese. This really useful and tasty recipe contains ground almonds and parmesan and no flour so is gluten free. It calls for a cup of lemon balm, an old fashioned herb, not so often found in gardens these days. But you can easily substitute basil or coriander which I did. With courgettes in season right now it’s cheap as well. It was while travelling in India that I fell in love with chai. It’s the perfect drink in hot weather which may seem surprising but the hot tea triggers your body’s cooling reflexes and brings your temperature down. The English, who brought tea to India, also brought sugar, which is often added in copious quantities, making it a rather unhealthy drink. The chai in WHOLE is made with black tea and brewed with almond milk, cardamom, fresh ginger, and black peppercorns. It has no added sugar! It’s very nice. There are lots of treats in WHOLE like Fresh Mint, dark chocolate and sea salt cookies, Beetroot and blackberry chocolate cakes, Raspberry and coconut cake with honey and cream cheese, Jaffa Amazeballs and Paleo Banana Bread. They do sound tempting and none contain refined sugar. 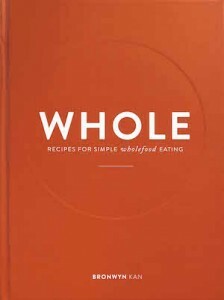 WHOLE was a good introduction to this generation’s approach to a wholefoods diet. There were plenty of recipes which appealed, were easy to follow and simple to make. These little treats are lovely to nibble with a cup of coffee or handed out for an after school treat. I have been making variations of this recipe over the years and this is our favourite right now. The only problem is that it's hard to stop at one! Purebread Wild Oats muesli is lightly toasted organic muesli , a blend of organic grains, seeds and honey. The recipe makes at least 30. Grate the apple over a sieve and press lightly to remove excess liquid. Add the sugar, apple, cocoa and salt. Bring to the boil and boil for 1 minute. Stir in the Purebread Wild Oats Muesli, toasted sunflower seeds, apricots and vanilla. Mix thoroughly and drop by teaspoon on a baking tray lined with baking paper. 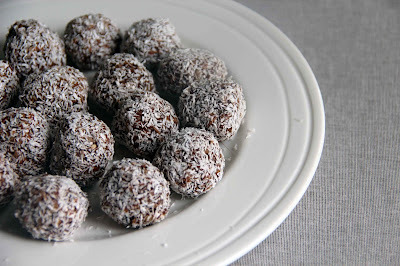 When cold form into balls and roll in coconut.